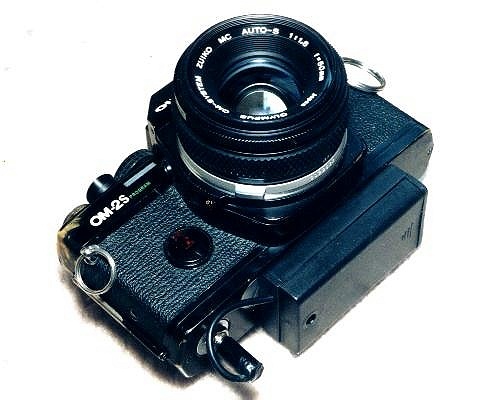 The Olympus OM2S, OM3 and OM4 are great cameras.... but they're also notorious battery eaters Here's a way to run the camera on a pair of AA penlight cells. Here's what it looks like in the camera body. Next comes the battery pack: a AA battery box [#270-408 from Radio Shack], with a 1/4" hole drilled in it for mounting to the camera's tripod socket. I used an end mill chucked in a drill press to mill a recess so the screw head will fit flush to the bottom of the case. An ugly job, but it works; the battery boxes are cheap enough that I can make another one now that I have an idea of what I'm doing. 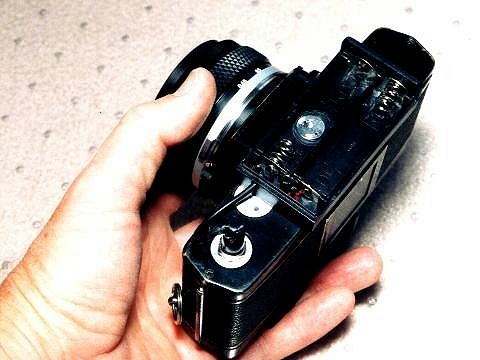 Remember when wiring the case to the 5.5mm plug: in the OM cameras, the center terminal is (-) and the chassis is (+)! 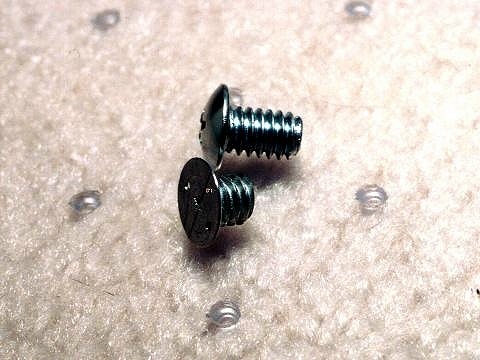 For the screw, I took the shortest 1/4-20 screw I could find and cut it shorter so it wouldn't hit the bottom of the tripod socket. I milled off the head to a thickness of about 1/64" so it fits flush in the recess in the battery case. Since the screw slot was now gone, I drilled a couple of holes in the head for a spanner. 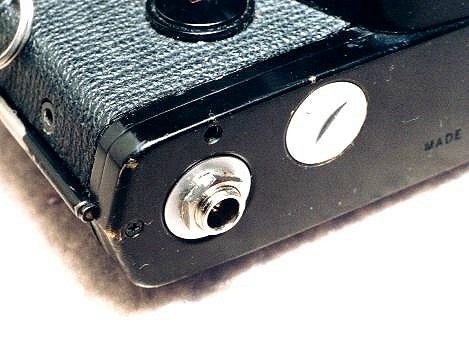 Here's the battery case attached to the baseplate of the OM2S camera. 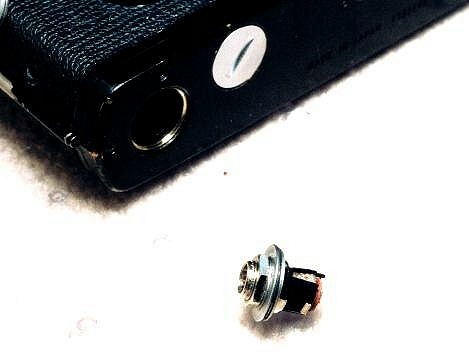 The plastic shell of the plug was a little longer than the height of the battery case, so I cut the shell shorter and made the wire come out sideways so the camera won't rest on the wire. And here it is, all finished. 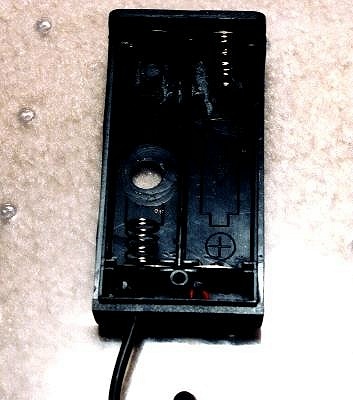 It isn't compatible with the winder or motor drive, but you can use the motor drive coupling cover as a battery cover to use standard batteries when the motor is attached.